This year marks 100 years since the Gallipoli landings. Much has been written and said about the landings, and their meaning, mostly by people far more knowledgeable about things military and historical than I shall ever be. I have opinions, possibly less well informed than those others, but I suspect better informed than those of many. Strategically, the decision to land at Gallipoli wasn't as flawed as some suggest. At the grand tactical and tactical levels implementation was at best flawed and riddled with incompetence. Much has also been said about the events of that day, and the succeeding campaign, defining nation-hood for both Australia and New Zealand. Again I feel that I have nothing of any substance to add to that debate, but one can certainly observe a significant increase in support for remembrance of those who were injured, or lost their lives, during what was without doubt an horrific experience. I have some concerns about this which I expressed in a previous blog post titled 'Secular Sainthood. The suggestion that this was in some way more abhorrent than other wartime experiences is one area in which I might part company with others. I would have thought that ANY experience of war is horrific for its participants. I could go on. There has been a reluctance by so many to look at the evidence, yet when they do the story is often very different. Now don't get me wrong, this was a war riddled with error and misjudgement (as they all were). But the suggestion that it was more so than any other is in my opinion unfounded. In war, men and women die. In war, men and women die needlessly. My fear is that as we recognise the 100th anniversary of this failed campaign we perpetuate these myths. Having said all of that, in New Zealand we are seeing some wonderful memorials to the sacrifice of those New Zealand and Australian men and women 100 years ago. Sir Peter Jackson has made an enormous contribution as has Weta Workshops. Look at the wonderful exhibitions opening at Te Papa (the NZ National Museum). 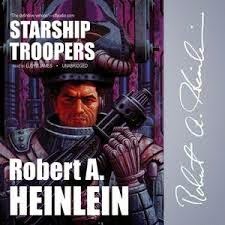 I'm currently re-reading Robert Heinlein's classic Sci-Fi novel 'Starship Troopers'. 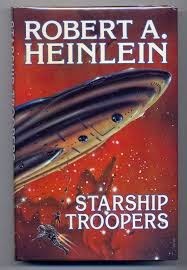 I first read the book 30+ years ago and was enthralled by a well written and engaging piece of Sci-Fi writing, made even more extraordinary by the fact that it was first published on 1959. And it has been interpreted in many ways since then. 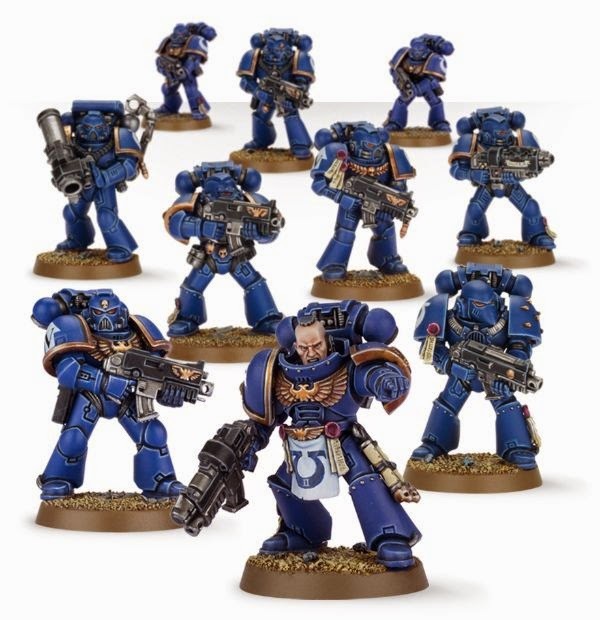 For the 'gamers amongst us it is difficult to see this not being the inspiration for Games Workshop's Space Marines, although I could be wrong on that one. This post isn't intended to be a book review, but rather an acknowledgment of what in my opinion is a wonderful piece of writing that has been hugely influential in the Sci-Fi genre, and in the world of wargaming generally. If you haven't read 'Starship Troopers', then by crikey you should. It's simply a darned good read. This year has been something of a wargames drought really. Work, and that big shift back to our rebuilt house, have both meant that time has been of the essence. So it was fantastic to get an invite to Keith's place on Friday for game of Wings of War (now Wings of Glory). I took a few photos, and Keith has provided a neat little write-up on his own blog 'Across the table'. I first played the game at least 5 years ago. I enjoyed it so much I had intended to buy a set with rules and counters (the rules themselves are a free download). Friday night was great motivation .. I bought the box set and five of my favourite aircraft and will wait with bated breath for their arrival in the mail box. I can already smell the castor oil and hear the sound of those machine guns .. tacka tacka tacka.